It never fails. When I tell someone, we homeschool, the inevitable question is, "Why?" While I'm accustomed to answering with ease, I never share the full reasoning behind why we homeschool. Education is a personal choice, and I'm acutely aware that my reasoning for why we homeschool may make others feel that their choices are less than optimal. I would like to emphasize that this is not the case. We made the decision to homeschool based on our girls, their personalities, and our experiences. When we started homeschooling, we had one primary reason... my oldest daughter's health and safety. You see, my oldest daughter has an anaphylaxis dairy allergy. The ingestion of raw dairy products is life threatening. My husband and I, having been in the childcare/education system, know how stretched teachers and support staff are. In fact, we witnessed slip-ups where a child consumed something they shouldn't have. We could not afford to take this risk with our daughter. 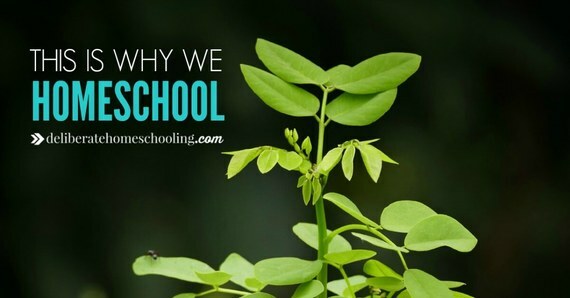 For us, homeschooling felt like a life or death decision. Now I understand that there are anaphylaxis children in the school system. Schools are far more aware of anaphylaxis now, but dairy is not a common anaphylaxis allergy. People often think of a dairy allergy as lactose intolerance or just an allergy to milk. However, my daughter is allergic to milk, yogurt, sour cream, butter, and so much more. Her allergy is to all dairy products and byproducts. My daughter's allergies started us on our homeschool journey, but now that we're in it, even if my daughter outgrew her allergy, we would still choose home education. With homeschooling, I can choose the curriculum that best meets my child's learning style. Visual learner? No problem, we can incorporate that into our plans. Hands-on explorer? We can include materials and tools to facilitate hands-on learning. I love that my children's education is personalized especially for them! Homeschooling, for the most part, is a much more tranquil atmosphere than the traditional school system. My girls can sleep in if they need to. They can learn in their pajamas and eat whenever their bodies demand food. Our schedule is tailored to our needs. Yes, some days are far from relaxed because a child is grumpy, but for the most part, the calm days far exceed the intense ones. It keeps me connected with my child's education. There have been countless times that I've had natural lessons come up in daily encounters and I was able to use it as an opportunity to enhance my child's learning and curriculum. Since I'm the one doing the planning and teaching, I'm acutely aware of what my child is (and will be exploring) throughout the school year. So, when opportunities present themselves, we seize them! I couldn't imagine not fully knowing what my child is learning in school! Yes, I'm Christian, but this goes beyond my faith. When I hear of grade 3 children coming home with horrifying language and graphic sexual "knowledge," I shudder. Childhood is fleeting, and the innocence that used to last until a child was in grade 7 has shifted dramatically. We live in a world where information is at our fingertips. If my child goes to school, they are at the mercy of the values held by the parents, teachers, and children of that school. I wouldn't be able to stop the child who's showing inappropriate content to my child on their smartphone at recess. I wouldn't be able to shield my child from events and knowledge that are beyond her social-emotional developmental level. Yes, some people may say I'm overprotective. My response? Who cares if I'm overprotective or "sheltering" my child?! I want to preserve the joy and innocence of childhood. Life becomes hard very quickly... why rush it? More time with my kids. I love my children dearly. When I had my first daughter, I used to do a slight eyeball roll every time someone told me to enjoy the moments as they grow up quickly. However, I quickly realized this wasn't some cliche -- it's true! Ten years ago I was 31-year-old. In 10 years time, I will be 51 and my oldest daughter will be 18! Children do grow up quickly! Before I know it, my girls will be out of the house and possibly have families of their own. I want to enjoy as much time with them as possible. The snuggles on the couch while listening to an audio book, the kitchen counter that was transformed into a science lab, and the back yard that became a scientist's playground will soon enough be a thing of the past... but the memories will reside in the hearts and minds of my children and me for a lifetime. Jennifer Bly is the author of the book My Kitchen, My Classroom: An Introduction to Homeschool. This article first appeared on Deliberate Homeschooling. Join the Deliberate Homeschooling community on Facebook or follow along on Bloglovin' to get notifications of similar articles.